The Memorial Concert celebrates the life of Shirley Levitt who sadly passed away last year. 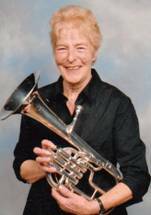 She had played in Brass Bands in the Humberside area for about 50 years and was playing with the East Riding of Yorkshire Band up until a few weeks before her death. Shirley was married to Charles Levitt, a former news reader with Radio Humberside. Many of the pieces being played were among her favourites including “Strike up the band”, “Hey Jude”, “You’ll never walk alone” and the hymn “Crimond”. There will also be a wide range of brass classics from “Suite Gothique” to “Hollywood!”. The concert will be a fund raising event for the Teenage Cancer Trust, Cottingham Methodist Church and the East Riding of Yorkshire Band. 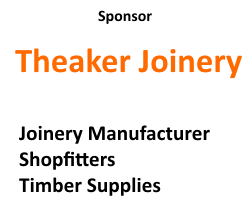 Tickets are £6.00 and are available from Barkers (159 Hallgate, Cottingham) or Mike Kerridge (ERYB Secretary) on 01482 854042.